Enter His Courts would not function without the gracious donations of people like you. All donations are used towards our mission of spreading the Gospel of Jesus Christ through the game of basketball. We thank you in advance for your donation. You can donate to Enter His Courts online using PayPal. Click the link below to donate! You can donate to Enter His Courts through the mail. You can donate to Enter His Courts by giving us your old used mobile phones. We get from $5 to $15 per phone. If you would collect them at your business, school, or church we would gladly pick them up. Call 522-7804 and leave a message for Tim to come and pick them up. You can also drop them off at the �homecourt� of Enter His Courts, the Cornerstone Ministry Center, 1088 Sarasota Drive in Seymour, Indiana. Every July Enter His Courts sells fireworks. 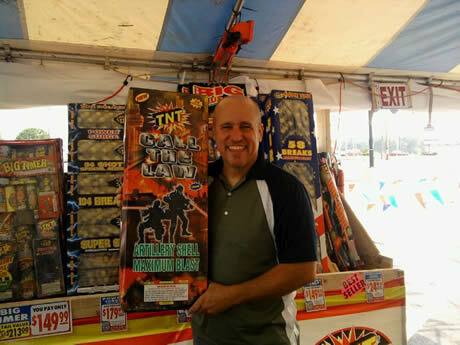 We use the money made from fireworks sales as a way to finance our mission here at EHC. 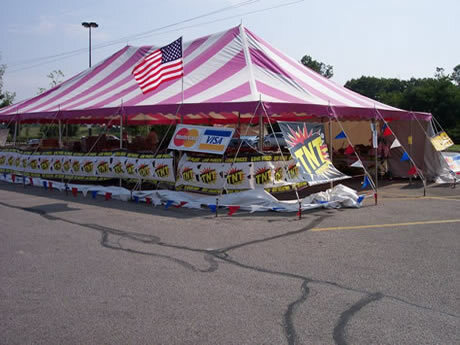 You can donate to EHC simply by buying your Fourth of July fireworks from us.